Midgard Ltd worked alongside Taylor Wimpey Central London to deliver a new school as part of Battersea Exchange development. 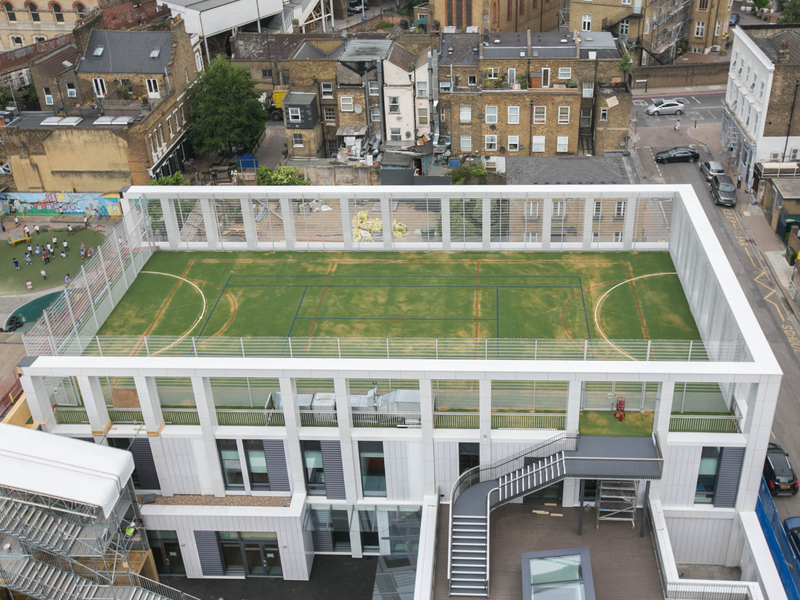 The new school was designed with a synthetic grass rooftop MUGA, in order to utilise this space in the urban environment. 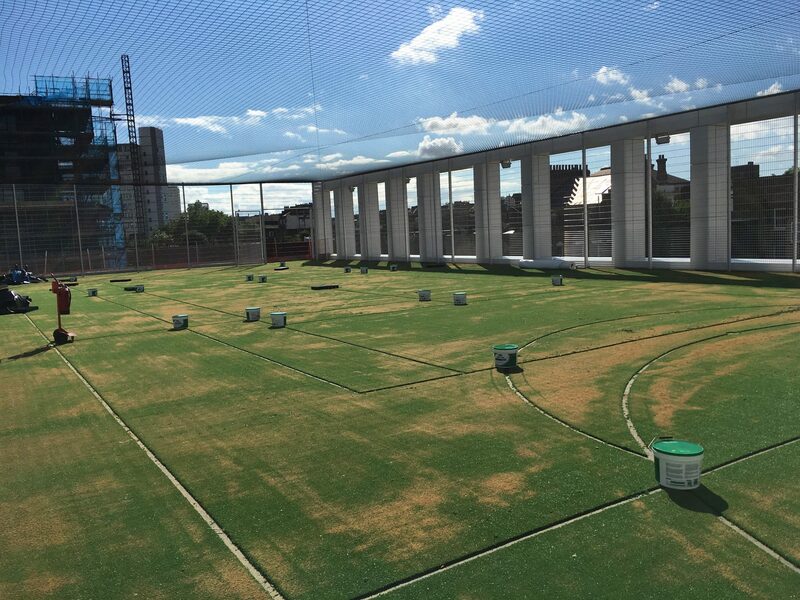 SELSports designed and installed a sand dressed synthetic grass rooftop MUGA package solution, including fencing and roof netting. 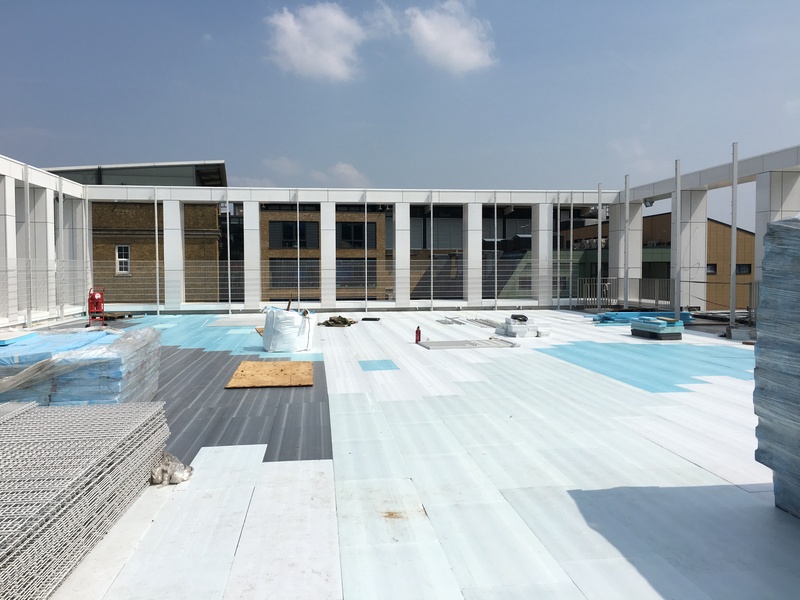 A regulating gravel layer was installed to minimise undulations in the roof. 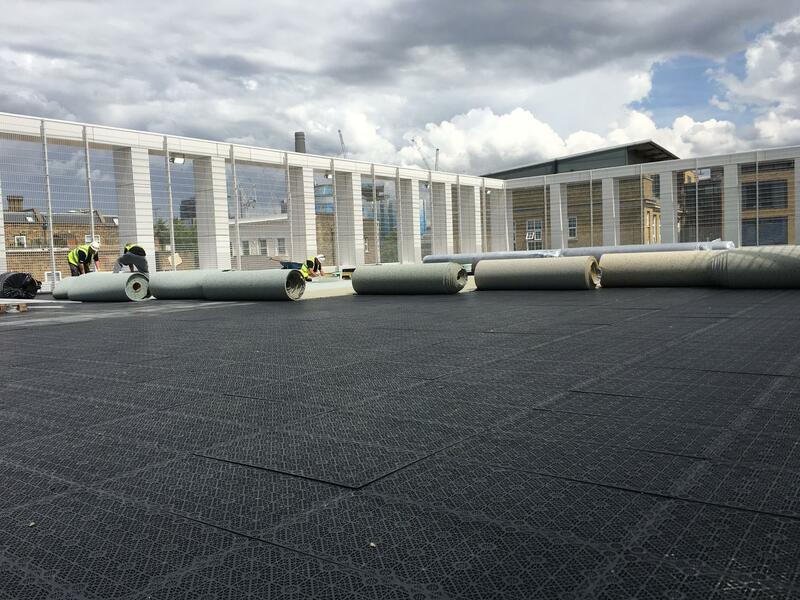 SELSports lightweight drainage units were installed on the gravel regulating layer followed by a prefabricated shockpad and sand dressed synthetic grass. 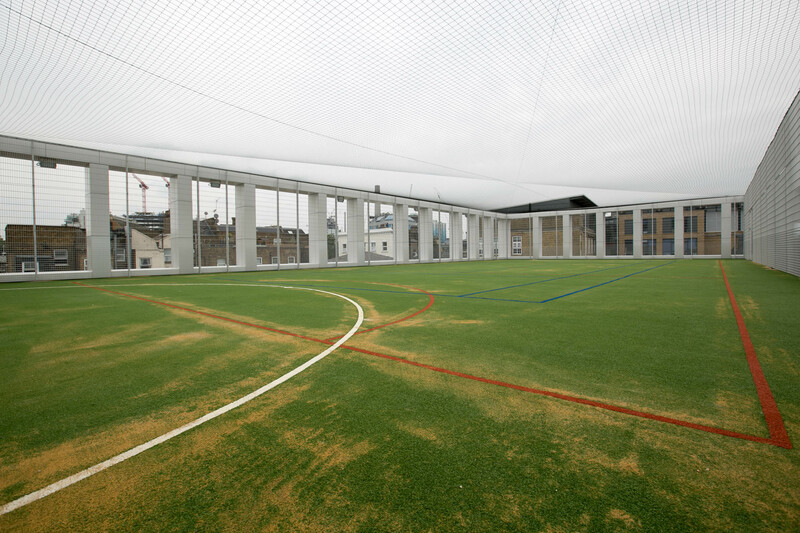 Line markings were installed to cater for a variety of sports on the 'multi-use' synthetic grass sports pitchsystem, including 5-a-side football, netball and tennis. The fencing system was bolted through to the concrete roof decking and the bolt penetrations were waterproofed. The depth of the insulation and construction build up was taken into consideration to determine the correct under-sail of the fencing system. The fencing was supplied in the Clients preferred colour option and touch up spray provided for future maintenance. Roof netting was installed over the facility to prevent objects escaping the rooftop MUGA onto the adjacent main road below.